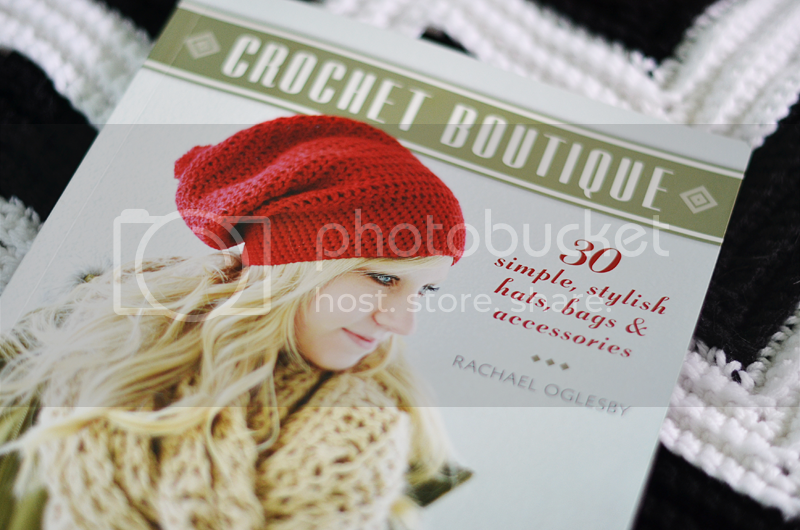 I was very excited when I was contacted to do a review of Rachael Oglesby's new book Crochet Boutique. I have had the book for about a month now and one great thing that came out of being away from the computer while Ivan's grandma was staying with us over the last few weeks was lots of time for crochet! Here are some of the projects I have made and what I think about the patterns and the finished products. This was the first pattern I attempted from the book and it really didn't take too much time at all. Before I get too far along in my review I should mention that I am terrible at following crochet patterns for a bunch of reasons. I am completely self taught and for some reason I don't usually look up video tutorials when I am confused about some crochet instruction. Secondly, the way crochet patterns are written do not appeal to my eyes. You know, all the commas? Anyways, I have a bad habit of not reading patterns carefully and skipping over instructions. All of that being said...this pattern was very easy to follow and very good for beginners. I had no trouble with it...except for remembering that when the instructions don't say "back loop only" that you crochet through both loops. Once I realized that it was smooth sailing. I didn't use the recommended yarn because I am a rebel but the hat turned out really great. In case you are curious I used Loops & Threads Impeccable yarn, my favourite! Now, even though I used a different yarn I made sure that it was the recommended weight for the project (4). That way I knew the hat would turn out around the same size as intended. Overall, easy pattern to follow, super cute finished product. This hat will definitely be a staple in my winter wardrobe. 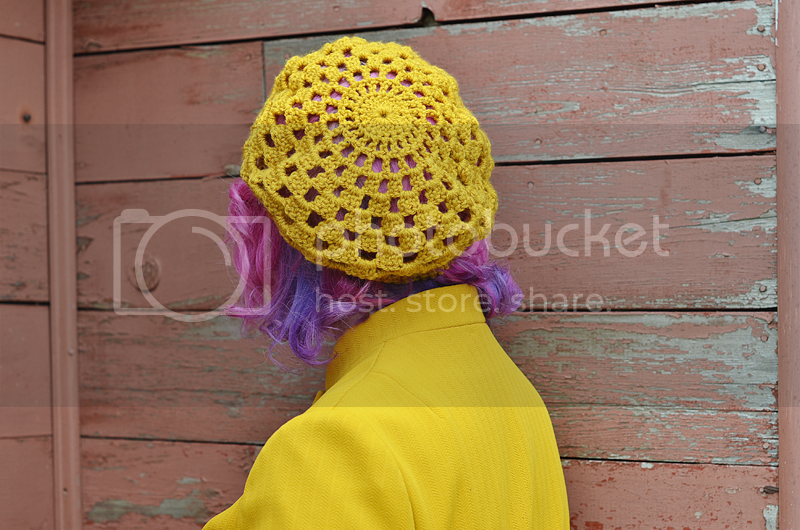 This beret was also very quick and easy to make, which is why I have made it in two different colours already. I made the purple one first using what I thought was some leftover Impeccable Loops & Threads yarn but actually I think it was a cheaper brand because the hat turned out really stiff and a bit larger than I thought it would be. No big deal though, still totally wearable. The yellow one was made with Patons Canadiana yarn which is kind of shiny and slippery to work with. I love the end result with that yarn though. The beret is nice and soft and perfectly slouchy. I really love this pattern and like I said, it was very easy to follow. This chain scarf was one of the easiest things ever to make and it came together pretty quickly. In the book the scarf is all one colour but I thought it would look kind of cool in a mixture of fall colours. If I made this again I would use a different yarn. I used the Patons Canadiana which doesn't really hang as nicely as I would like it to. I think a stiffer yarn would have worked better but I still like the way this looks. This is a really cute, simple pattern to try out if you are just starting crochet! This is probably my favourite piece that I have made so far. I love finished product so much, it is the perfect length for either wearing long or all bundled up. The pattern for this one got me a tiny bit confused and I think I goofed up a few times but it is really forgiving and you would never know by looking at it that I didn't make it perfectly. It's not that it was difficult, just a little bit of my crochet confusion kicking in and making me question what I'm doing. Also, the photographs in the book didn't clearly show what the stich pattern should look like so I couldn't really make sure I was doing it right by comparing mine to the book. Still, like I said, this is my favourite thing to wear out of all of the projects I have made from Crochet Boutique. Phew! That was a lot of talking! I definitely think that Rachael did a great job with Crochet Boutique. The patterns that I tried were all easy to follow and all of the projects are something that I would either make for myself or make for someone as a gift. It is exciting to get a book where you think that you will actually make everything from it eventually! If you pop back later I will be posting a little giveaway with an item made by Rachael especially for you along with a piece that I whipped up from the book. PS. 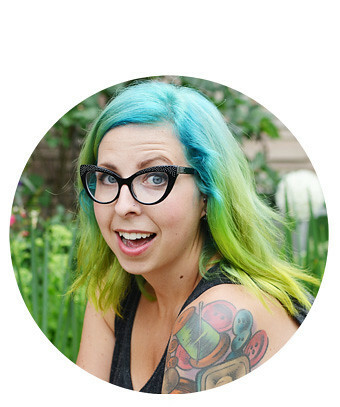 If you love Rachael's work, make sure you check out her etsy shop, softspoken! These are amazing!! LOVE the circle scarf! Oooh, you used some really nice coloured yarn! The slouchy beanie is my favourite. That scarf really is fabulous! You wouldn't mind making me one...? The hats look so amazing. I need to learn how to crochet or knit or something! Wow! All the stuff you crocheted turned out really great! And I love your mustard jacket! The circle scarf looks perfect. I want one! I wish I could crochet because those pieces are gorgeous! 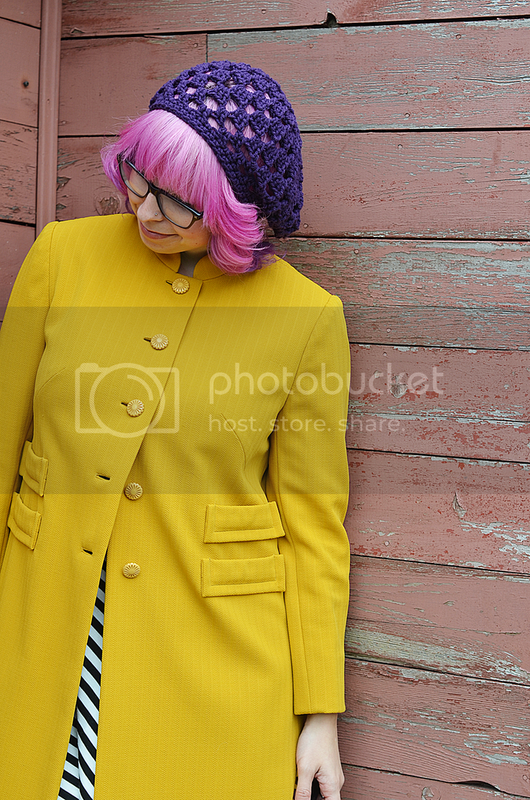 I love the mustard yellow hat against your hair. and that chain necklace/scarf deal? So cute! Wow- you are a fast crocheter! 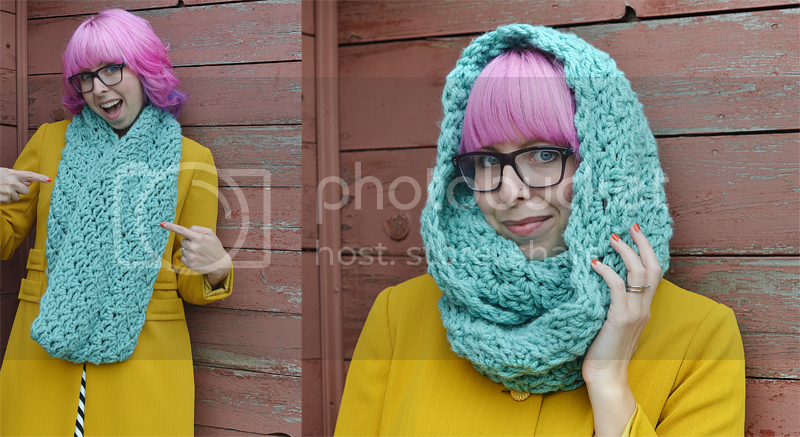 These all look awesome, I especially love the circle scarf- the color you chose is perfect and it looks so cozy! This makes me SO excited for my copy of the book to get here! I have this book! Love it. I'm almost done with my first slouchy beanie. Good stuff. sigh, i really wish i could crochet... those hats look amazing!! This makes me want to take crocheting back up again. I'm so bad at following patterns, though, so I always get impatient or insist on creating my own (it never works out very well). That purple hat is amazing, though, and so is the circle scarf! So beautiful!!! I love them all so much! I've just started to learn to crochet, and I'm having so much fun with it! I am itching for new projects, and some of these might be just the ticket. Oh jeez... I may have to buy this book! I've only ever crocheted granny squares, and it's time I upped my game. SO pretty. I love the first hat you made and the scarf - the colours you chose are gorgeous! That cowl is the PERFECT color against your hair and with that jacket. LOVE.